What is AERODIGESTIVE MEDICINE OKC? Aerodigestive medicine is necessary for the health, well-being and happiness of children with a variety of digestive tract disorders. Although not well-known to the public, aerodigestive disorders are doing harm every day. These illnesses deprive children of nutrients and calories. Bones and muscles are affected. Intellectual advancement is threatened. Little bodies cannot cope with the deprivation, and they shouldn’t have to. That’s why Pediatric ENT of Oklahoma City offers complete care for aerodigestive medicine OKC. 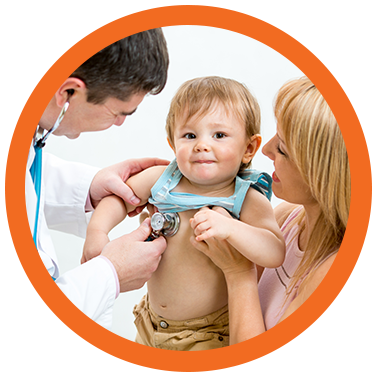 Our highly trained professionals can be your partner in taking care of your vulnerable infant, toddler or older child. At our clinic, we have the tools and the know-how to effectively diagnose and address aerodigestive disorders Oklahoma City. Our advanced training allows us to address each child’s needs individually. We can narrow down the underlying causes and address the exact problem. If your child is having problems, whether diagnosed or undiagnosed, our aerodigestive medicine Oklahoma City clinic can help. Our doctors have experience with many types of problems related to the structure of the throat, esophagus, and tracheal tract.